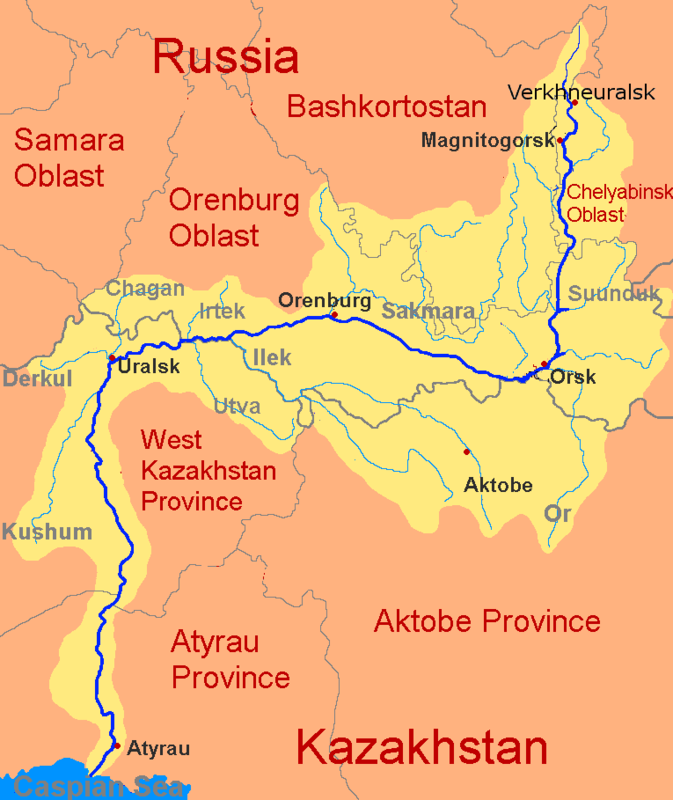 The Ural or Jayıq/Zhayyq, known as Yaik before 1775, is a river flowing through Russia and Kazakhstan. It originates in the southern Ural Mountains and ends at the Caspian Sea. Its total length is 1,511 mi (2,428 km), making it the third longest river in Europe after the Volga and the Danube. Along with the Volga, the Ural River is one of the major rivers feeding the Caspian Sea.